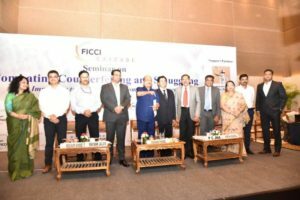 FICCI CASCADE with a view to engage all relevant stakeholders like government representatives, enforcement agencies, excise and customs, consumer activists, media as well as industry and legal experts, and to sensitize them to fight against counterfeiting and smuggling organized a seminar in Kolkata on “Combating Counterfeiting and Smuggling – An Imperative to Accelerate Economic Development” on June 5th 2018. The seminar brought experts from different disciplines of life under one roof to raise the concern over the growing illicit trade and to create large-scale awareness among the impacted segments of the society. Counterfeit trade has attracted considerable attention among trade associations, government and enterprises. Therefore, to support the cause, seminar witnessed huge participation of over 100 delegates who were very enthusiastic to fight this menace. 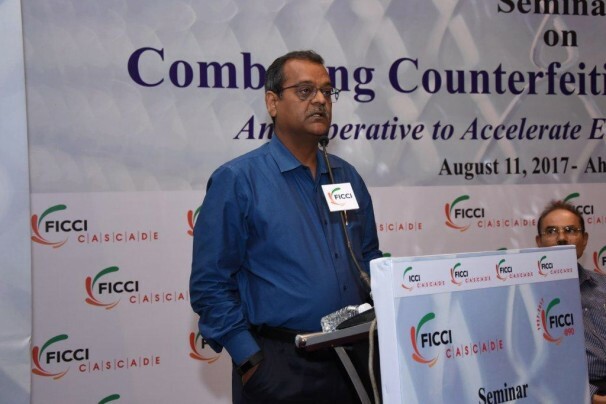 Mr. Mayank Jalan, Chairman, FICCI – West Bengal State Council & CMD, Keventer Agro Ltd. in his welcome address highlighted that counterfeiting and smuggling adversely impacts industries, consumers, government and economies as a whole. It is imperative to understand the need for safeguarding the rights of legitimate industry in developing competitiveness in various sectors of the economy. 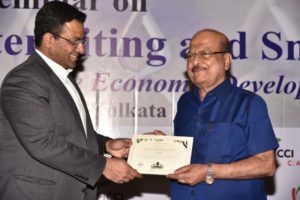 Shri Sadhan Pande, Minister in Charge, Consumer Affairs Department, Government of West Bengal, and chief guest at the meeting stated that counterfeiting is a big issue in India which is affecting our revenues particularly the indirect taxes. In the state of West Bengal, minister cited examples of counterfeit products such as Tea, Cream etc which were finding its way to the retail market owing to their low prices. He also observed, among other products, illicit trade in cigarettes was also a concern area in the state. 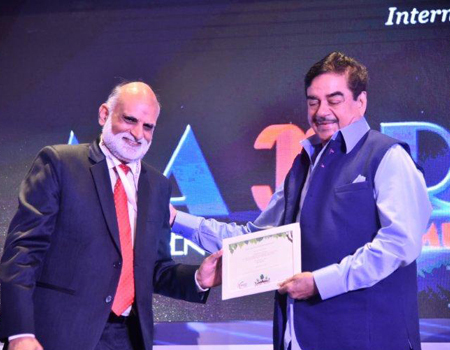 Hon’ble Minister thanked FICCI CASCADE for taking the lead in fighting this problem. 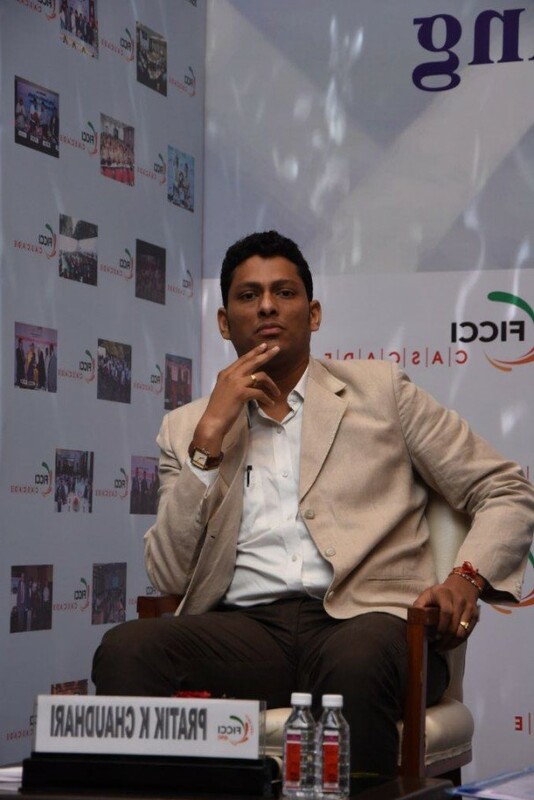 He extended his support to FICCI and welcomed suggestions from industry in addressing this challenge. 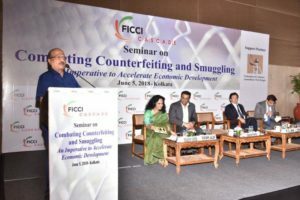 FICCI CASCADE advisor Mr. P C Jha & Former Chairman, Central Board of Excise and Customs, pointed out that counterfeiting was the biggest scourge impairing the world’s economy, accounting for almost 10% of global trade. Elaborating on the magnitude of the problem, Mr. Jha informed that in India the total loss to the government in respect of just seven items, as per a FICCI CASCADE study estimate, had increased steeply from Rs. 26,190 crore to Rs. 39,239 crores. He also stated that counterfeiting was the number one crime of 21st century, putting at stake brand owners’ reputation, causing severe loss of revenue to the public exchequer, and posing a serious threat to the security – nationally and internationally. 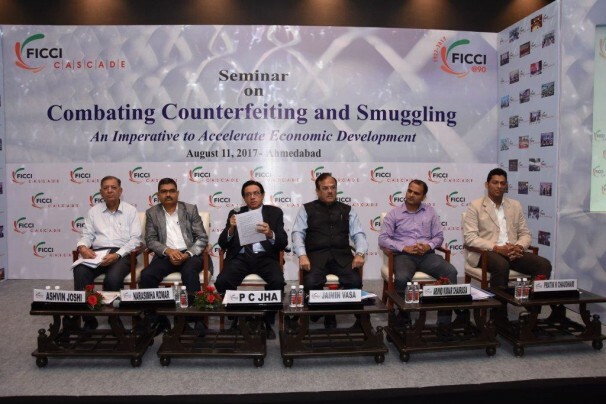 The seminar also included a panel discussion on ‘Countering the Menace of Counterfeiting and Smuggling – Resolutions and Solutions’, where experts from related areas discussed the issue at hand. Mr. Deep Chand, Advisor, FICCI CASCADE and Former Special Commissioner of Delhi Police, in his address said “8 to 15% of global GDP is impacted due to illicit trade and criminal activities. It is time that we, as a national and as a part of the global economy, call for stern and resolute counterstrike force against such ill-intentioned activities”. Mr. Deepankar Aron, Additional Director General, DRI, Zonal Unit Kolkata underlined that smuggling has more deleterious impact on economy. To counter them, DRI exposes fraudulent schemes and takes initiative to build synergy between DRI, police, industry bodies and judiciary. He informed that his department has seized counterfeit and smuggled products worth Rs. 350 crores apart from gold and drugs in the last financial year. “Seizure of tobacco products worth Rs. 110 crores have been made. Also, 110 kgs of gold worth Rs. 430 crores have been seized in the last one year”, he added. Mr. Shrihari Pandey, IPS, Special Superintendent of Police, West Bengal in his address requested people to be proactive and inform the police on encountering fake products. He also informed that the police department regularly team up with officials from different enforcement agencies to curb the cross-border and domestic flow of counterfeit goods. Mr. Gautam Banerjee, Principal Associate Patent & Trademark Attorney, Khaitan & Co. shared the magnitude of the problem. He highlighted that the counterfeiting business cost around Rs. 600 crore to the music industry and 20% of medicines in India are fake. He further added that counterfeiting has also led to loss of 8 lakh jobs annually. Mr. Bibhav Pradhan, Regional Legal Manager East, Hindustan Unilever Ltd. emphasized on the help of IPC provisions, copyright infringement laws, court orders and police to combat counterfeiting and smuggling. He stressed on the need of awareness and advocacy to counter smuggling and counterfeiting. 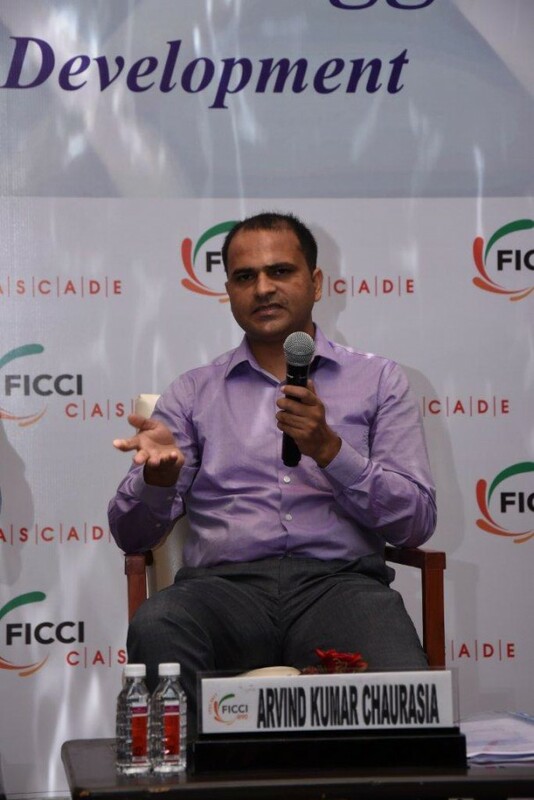 “Our main focus is on anti-counterfeiting initiatives, we need to understand this socio-economic problem and awareness must be our priority”, said Captain Shakil Ahmed, Senior General Manager Corporate affairs, Diageo India. Ms. Mala Banerjee, President, Federation of Consumer Associations, West Bengal said that counterfeiting and smuggling continue to thrive globally due to the weakness of the consumers desire to acquire branded products at low cost and the lack of awareness adds to this menace. She emphasized on discarding the fake products and to take a pledge and work towards the common aim. Mr. Harish Agarwal, Co-Chairman, FICCI – West Bengal State Council & Partner, Ernst & Young LLP in his concluding remarks proposed thanks to the Hon’ble Minister for his continuous support to FICCI. In his remarks he said that the problem of counterfeiting is estimated at $600 billion a year. Product counterfeiting has grown over 10,000% in the past two decades and continues to grow. The seminar witnessed vigorous interaction with delegates demonstrating an active interest in the issue. 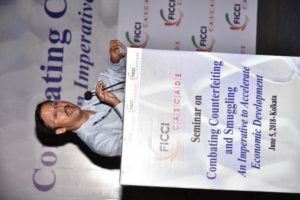 It ended with a common view that the problem of counterfeiting and smuggling is multifaceted and complex and need to be discussed time and again, with government, to emphasize on effective and adequate laws and enforcement; increasing engagement with the industry and most importantly creating awareness in the society to curb illicit trade. The seminar was very well received by all stakeholders and was widely covered by media.